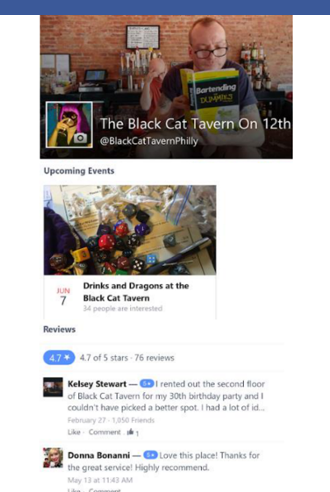 Wanna know what's happening at The Black Cat Tavern on 12th? Websites are awesome, but our Social Media is much more fun! Tuesday evenings (around 8pm-ish start time) Fall & Spring we host the Olde English Darts League games. A good time with a great group; complimentary light dinner fare provided & drink discounts. Visit bars around the city and shoot against other Philly OEDL teams. Interested in checking it out? Want to start your own team? Contact us at the email above or stop by and chat with any of our bartenders for additional details — We welcome all & love to see new faces join in on this long-standing bar sport! Posts of our day-to-day, upcoming events, silly nonsense, cat pics, food pics, and a wonderful way in which we can interact with our awesome customers and friends of the bar! Join us! 280 characters of Black Cat Tavern stuff - all the food pics, updates of fancy new beers to Untappd, events, and interactions with other fellow Twitter-ers twittering.